It might look the same, but the updated SEAT Leon benefits from some subtle and very useful changes. 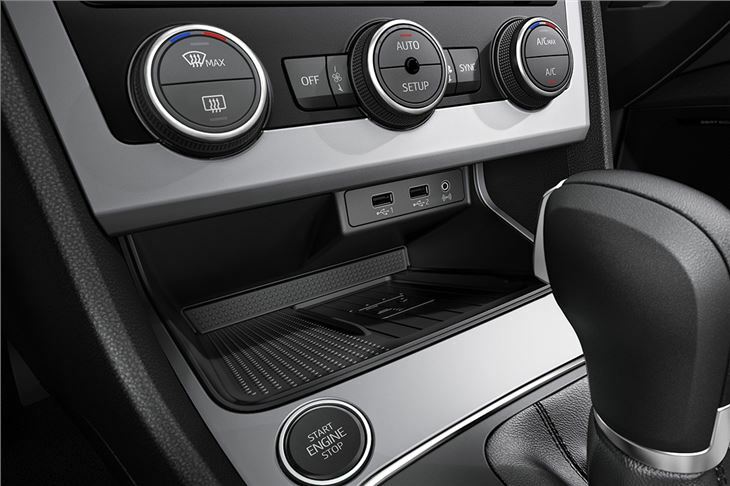 A much more comprehensive suite of safety and convenience technology, including automated traffic jam assist, is available – plus there is a new, larger, clearer eight-inch touchscreen and better smartphone connectivity. There are a couple of new engines too – specifically a 1.0-litre petrol with 115PS –also available in the Volkswagen Golf and Audi A3- plus a 1.6-litre diesel with 115PS. That’s the engine tested here in five-speed manual form. It’s the entry-level diesel, with emissions 105g/km and official economy of 70.6mpg, so it should be affordable to run, and will likely be a popular choice for company car drivers thanks to low BIK. It’s not a bad performer, with a useful 250Nm of torque from 1500rpm. It’s not exactly exhilarating, but it’s perfectly capable of quiet motorway cruising despite missing a sixth gear. There’s enough performance to opportunistically overtake slow moving traffic, too, without loads of forward planning. It’s also available with a seven-speed DSG auto transmission – which is particularly handy for stop/start traffic. Ride quality is composed, yet the Leon is good to drive even with this basic engine. The steering is nicely weighted and accurate, plus there is plenty of traction from the front wheels and body control is good, making corners surprisingly enjoyable. The Leon is quiet and refined too, which makes long distance driving easier – as does cruise control, which is standard on all but basic S equipment grades. This is improved further with Traffic Jam Assist. It will automatically brake the car to a stop in jams, and then, with a touch of the throttle, start up again to follow the car ahead at speeds up to 37mph. For motorway snarl-ups it’s extremely useful and makes life much easier, but sadly it’s only offered on FR or higher models with DSG gearboxes, and it isn’t cheap since it comes in one of several packs, the cheapest of which is £625. Adaptive cruise control is also available and will maintain a safe distance to the car ahead, plus there is an active lane assistance system. Again, both of these systems are optional and only offered with higher trim grades. None of the systems is truly autonomous - you can’t take eyes off the road and expect the car to do it all – but they do make life much easier in stressful, busy traffic conditions. The change likely to benefit the most buyers is the new infotainment system. All but basic S models get a large, clear, eight-inch touchscreen with navigation. A £140 option adds MirrorLink, Android Auto and Apple CarPlay functionality too, so modern smartphones are easy to link up. Apps like Spotify or Google Maps can then be used in-car, through the screen. Fit and finish is generally very good, with plush and high quality materials used throughout the cabin. Sound-proofing is ample for keeping the worst wind, tyre and engine noise at bay, but at high revs the 1.6 TDI diesel did get a bit grumbly. Those who want an even quieter cabin should choice the new luxury trim – Xcellence – since it comes with additional acoustic dampening. It also comes with unique seats and various small details, including a chrome grille and Xcellence specific interior finish. There are some other, small changes in the cabin on other versions too, including an electronic parking brake on all versions except for the basic S and, optionally, a connectivity hub with 3G signal booster and a wireless charging pad. Interior space hasn’t changed – but that’s fine. The five-door hatchback provides a reasonable amount of rear head and leg room, while wide doors make getting children in and out simple. Boot space, at 380 litres, is ample for shopping or luggage, while the low load height makes for easy unloading, despite there being a load lip. Folding the seats is easy and increases space to 1210 litres. 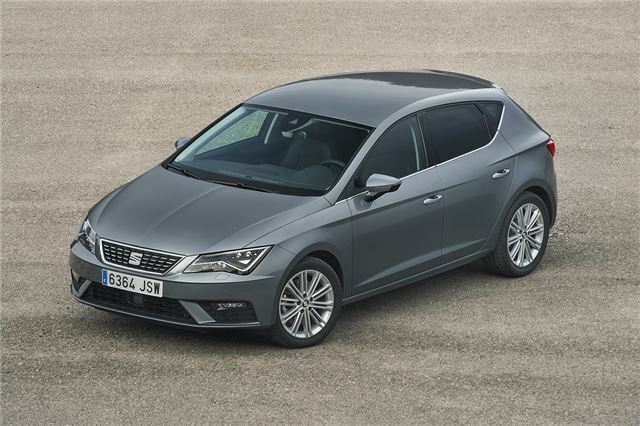 SEAT hasn’t gone overboard with the tweaks and changes to the Leon, but it didn’t need much to be kept competitive. It has always been a good choice of family car, but with its new technology it’s better than ever, especially if you specify a few relatively affordable options like Full Link smartphone connectivity. That said, buyers should be cautious when choosing their Leon. The trim levels can be confusing and some key new equipment is optional and bundled in with packs, which can quickly add thousands to the price. Even so, there is a lot to like about the updated Leon and it’s a great alternative to the Volkswagen Golf, Ford Focus and Vauxhall Astra.